A generous donation was made by Linda Stanley in memory of Lucy Stanley. A generous donation was made by Barbara Bounds in memory of Angel Beauchemin. 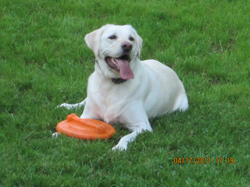 A generous donation was made to the Chase Away K9 Cancer Fund by Victoria Beverly in memory of Lucy Rose Storm. A generous donation was made by Charles Richard Patenaude in memory of Sampson Grossman. 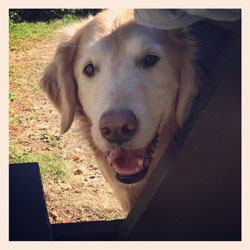 A generous donation was made by to the Chase Away K9 Cancer Fund by Julie A Thomas, PhD. 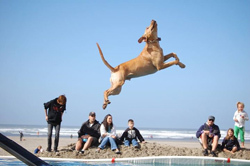 – Doggie Paddle Swim – in memory of Porterhouse Kunkle. 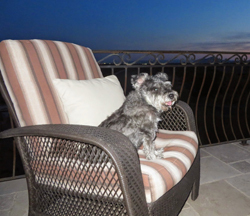 A generous donation was made by Barbara & Robert Kochanski in memory of Lucky. A generous donation was made by Mary & William Soranno in memory of Jackson Merchant. A generous donation was made by Susan & Neal Merchant in memory of Darcy & Jackson Merchant. A generous donation was made to the Chase Away K9 Cancer Fund by Tracy Burlingame in memory of Missy Kitti Mai. A generous donation was made to the Chase Away K9 Cancer Fund by Sandy Miller in memory of Brooklyn Leslie. 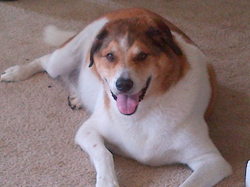 A generous donation was made by Chris Sommers in memory of Baxter Walkowiak. A generous donation was made by Susan Mendez in memory of Charlie Pusey. A generous donation was made by Amy Barnett in memory of Sasha Barnett. Four years ago cancer took my best friend from me. This is for you my beautiful girl. Always your mom. A generous donation was made by Christina Welch in memory of Maggie Barnard. A generous donation was made by Yvette Rhodes in memory of Angus Fala. 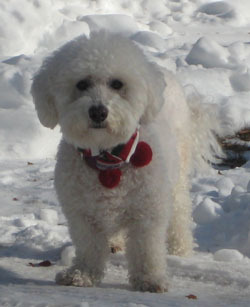 A generous donation was made by Marcie Spawr in memory of Abbey Bonespawr. A generous donation was made by Patrick Mollins in memory of Clinton McParland. A generous donation was made by Agota Alvarez in memory of Chloe Bernhardt. A generous donation was made by Carol Matthis to the Chase Away K9 Cancer Fund in memory of Lady Cassandra of Texas (Cassie) Matthis. Donation from auction of rainbow bridge afghan with matching funds. A generous donation was made by Christy Majorowicz and your neighbors in honor of Dennis Williamson. 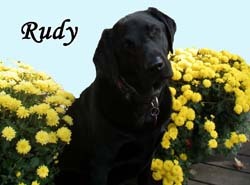 A generous donation was made by Lorraine Emerick in memory of Rudy Childs. 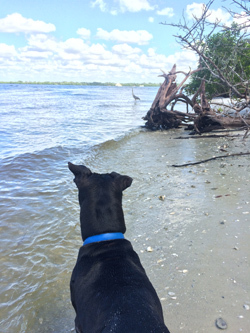 A generous donation was made by Jennifer Behrens to the Chase Away K9 Cancer Fund in memory of Yatzee, who was owned and loved by Lisa Kretner. A generous donation was made by Michael Forcinito in memory of Phoebe Forcinito. 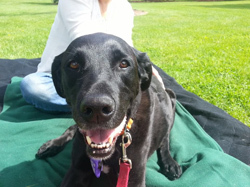 Our beloved Phoebe, who passed away from osteosarcoma on February 5, 2015. We will always love you. A generous donation was made by Ling Chua in memory of Angus Fala (May 5, 2001 – February 28, 2015). 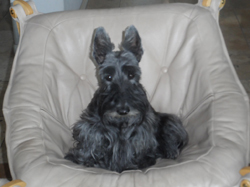 A generous donation was made by Wrig and Xena Schnauzer in memory of Angus Fala. A generous donation was made by Laura & Drew MacLeod in memory of Ralphie Berryman. A generous donation was made by Pauline Aiken in memory of Howard. A generous donation was made by Andrew Farwig in memory of Oliver Farwig. A generous donation was made by Debbie O’Neill in memory of Ranger Stremel. A generous donation was made by Nalani Villafana in memory of Raleigh. 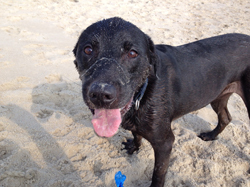 Raleigh my handsome, loving and smart dog who passed away from hemangiosarcoma on 2/26/15. A generous donation was made by Susan Mendez in memory of Ace Jordan-Spandorfer. 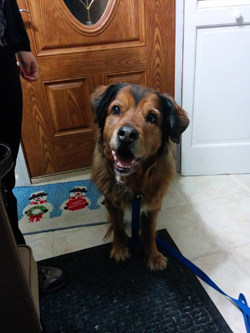 A generous donation was made by Sharon Culkar in memory of Maxwell Culkar. Maxwell was my best friend, my life. I lost him 2/7/15 to hemangiosarcoma. I love & miss him so much. 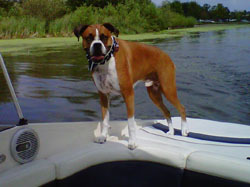 A generous donation was made by Mary Rosberg in memory of Fezzik Hengeveld. A generous donation was made by Paula Bourne in memory of Buckeye Bourne. If love could kill cancer he would still be with us. A generous donation was made by Sandy Springer in memory of Helo Christianson. 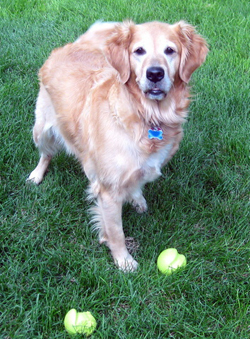 A generous donation was made by Aubrey LaCrosse to the Chase Away K9 Cancer Fund in memory of Sam the Golden Retriever Dautermann. A generous donation was made by Vicki Berkowitz in memory of Curtis Zentgraf. A generous donation was made by Lee A McAdam in memory of Petra Hogg. A generous donation was made by Wendy Ray in memory of Cody Simmons. A generous donation was made by Barbara Burri in memory of BonniDune’s Wanna Fly By Dawn “FLY”. A generous donation was made by Patrick Franko to the Chase Away K9 Cancer Fund in memory of Porterhouse Kunkle. A generous donation was made by Janet Apfel in memory of Camilla Apfel. For our dear, sweet, gentle Camilla. A generous donation was made by Thomas Watson in memory of Clive Garvey. A generous donation was made by Jamie Carey in honor of the Eiler Wedding. A generous donation was made by Mauricio Britva in memory of Jib Arpe. 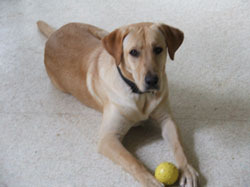 A generous donation was made by Diane Makey to the Chase Away K9 Cancer Fund in honor of BeeBee Makey/Dunlap. 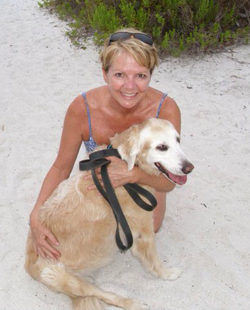 A generous donation was made by Diane Makey to the Chase Away K9 Cancer Fund in memory of Simon Fijal. On the day that celebrates your birth a donation was made to celebrate the life of your very special fur baby Simon. They leave a mark on our hearts that is everlasting. A generous donation was made by Joan Mullen in memory of CH Esprit’s Blue Denim Revival aka: Levi. A generous donation was made by Betsy and Robert Daitch in memory of Matelot Privitera. A generous donation was made by Suzanne & Steve White -Spotted Cur in memory of Ace Graham. A generous donation was made by Suzanne & Steve White -Spotted Cur in memory of Roscoe Potts. 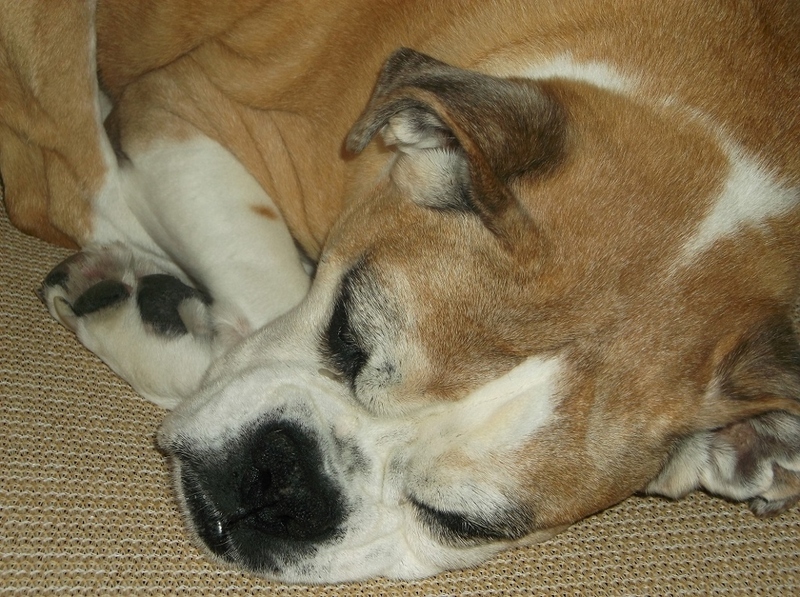 A generous donation was made to the Chase Away K9 Cancer Fund by Connie Debruyn in memory of Porterhouse Kunkle. A generous donation was made by Allison Patel in memory of Dolly Lochansky. A generous donation was made by Sue Lee in memory of Brando Lee. Goodbye my sweet baby smooshie boy. I love you forever! A generous donation was made to the Chase Away K9 Cancer Fund by Rebeca Grove in memory of Tank Perkins. 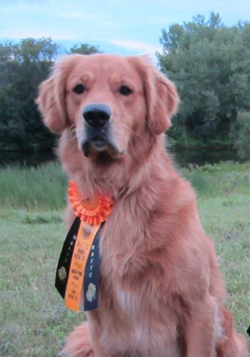 A donation was made to the Chase Away K9 Cancer Fund by the generous competitors of the Third Annual New England Rally Obedience Enthusiasts Tournament of Champions on August 2 & 3, 2014 held at All Dogs Gym in Manchester, NH. A generous donation was made to the Chase Away K9 Cancer Fund by Jean Schusler in memory of Max Schusler. A generous donation was made by David & Celeste Devine in memory of Elsie Davis. 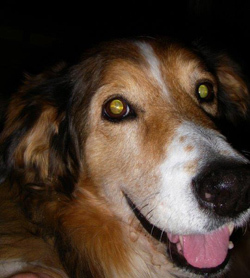 A generous donation was made to the Chase Away K9 Cancer Fund by Carol Matthis in memory of our beloved Cassie taken from us by Acute Myeloid Leukemia on February 10, 2015. 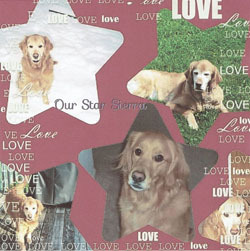 A generous donation was made by Brenda Weitzel in memory of Lucky Storey. A generous donation was made by Brenda Weitzel in memory of Joy Bowers. 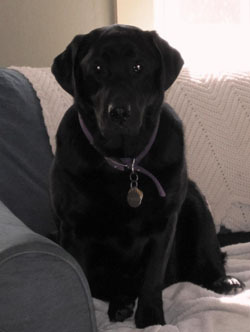 Joy was an amazing friend and companion to her owner and a true inspiration to all who knew her. A generous donation was made by Connie Zieba in memory of Rainey Hughes. A generous donation was made to the Chase Away K9 Cancer Fund by Meghan Williams in memory of Kasey Burlingame. A generous donation was made to the Chase Away K9 Cancer Fund by Mino Fuller in memory of Kasey Burlingame. 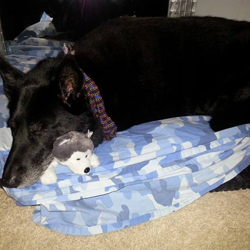 A generous donation was made to the Chase Away K9 Cancer Fund by Amanda Wang in memory of Clovis. Every door entered was better with Clovis there to greet us. We miss you, Big C! A generous donation was made by Elaine Hartwig in memory of Maisha Van Dyke. A generous donation was made by Lisa Lees in memory of Phoebe Lawrence-Forcinito. A generous donation was made by Rebecca Lee in memory of Ceelo Hawkridge. A generous donation was made by Melissa Schmidt in memory of Noel Lowry. In memory of Noel, our special caramel friend! You are loved and missed. A generous donation was made by John Parry in memory of Izzy and Jax. 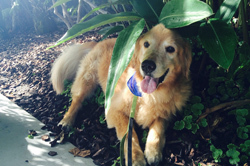 A generous donation was made by Stacy Anne Laufer in memory of Ginger Jackson. 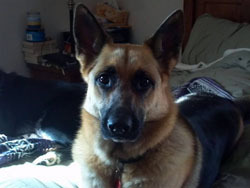 A generous donation was made by Susan Mendez in memory of Roxy Koehler. A generous donation was made by Patricia & Tom Morris in memory of Jack Rutti. A generous donation was made by Union Hill Animal Hospital in memory of Buddy Sklenicka. 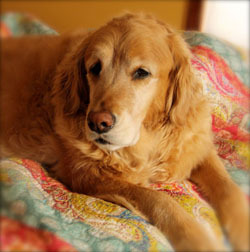 A generous donation was made by Union Hill Animal Hospital in memory of Belle Baker. 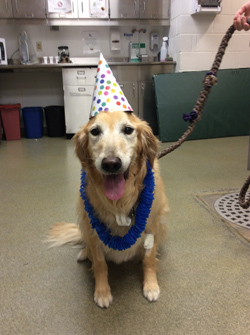 A generous donation was made by Union Hill Animal Hospital in memory of Maddie Denereaz. A generous donation was made by Union Hill Animal Hospital in memory of Toot Gruhn. 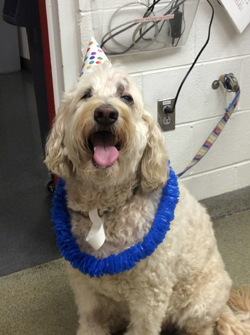 A generous donation was made by Union Hill Animal Hospital in memory of Jasper Degenhard. A generous donation was made by Union Hill Animal Hospital in memory of Brandi Brunner. 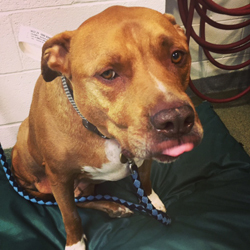 A generous donation was made by Union Hill Animal Hospital in memory of Pumpkin Cangemi. A generous donation was made by E-Rate Exchange in memory of Penny Gibson. 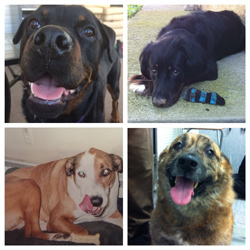 A generous donation was made by Mike Ditomasso in memory of Raquel, Nelly, Petey and Rocky. A generous donation was made by Mark Kaplan in memory of Zoie Kaplan. 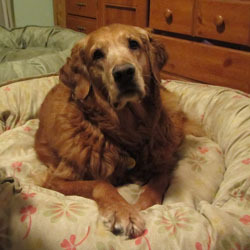 A generous donation was made by Maureen Rastetter in memory of Nutmeg Laing. A generous donation was made by Kacy Anderson in memory of Roxy Williamson-Calero. 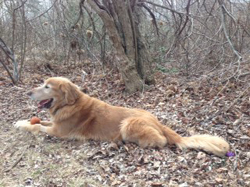 A generous donation was made by Jennifer Nowak in memory of Copper Hoy. A generous donation was made by Darlene Hassanyeh in memory of Emma and Winston Youngblood. A generous donation was made by Melinda Saunders in memory of Charlie Britt. A generous donation was made by Vicki McEwin in memory of Jet Landry. A generous donation was made by Jessie Lawrence in memory of Danny O’Grady-Smith. 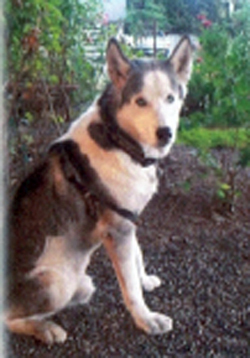 A generous donation was made by Krystal Woodard in memory of Nanook Woodard. Taken to early! Always missed but never forgotten! Until we meet again my sweet boy! I ♥ you Nanook! 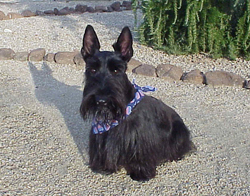 A generous donation was made by Stuart the Scottie in memory of Angel Kyla. 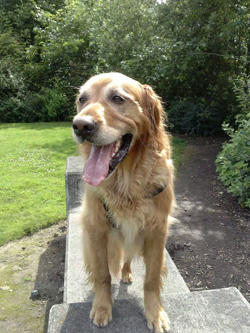 A generous donation was made by Suzanne Dundas in memory of Max. A generous donation was made by Julie Stauffer in memory of Sydney Lewis. A generous donation was made by Victoria & Leonard Porcello in memory of Wynston Gleason. A generous donation was made by Nancy & Louis Lohrfink in memory of Alfie Jones Kendrick. A generous donation was made by Bhavisha Patel in memory of Gunney. A generous donation was made by Donna Burlingame in memory of Jesse Burlingame. A generous donation was made by Audrey George in memory of Miklo Morales. A generous donation was made by Jeffrey Ballew in memory of Brando Lee. 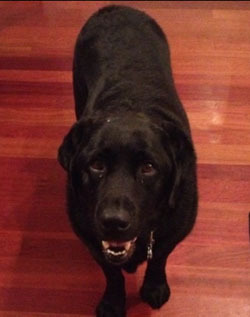 A generous donation was made by Jared Wexler in memory of Jackson “Muff” Wexler. A generous donation was made by Kenneth Coulter in memory of Rosebud “Buddy” Emberton. A generous donation was made by Liz Weir in memory of Maggie Arms. A generous donation was made by Erica Warters in memory of Carly Martelli. 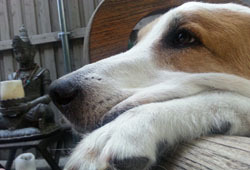 A generous donation was made by Mary Beth & Tom deBeau in memory of Magnus Wasmucky. 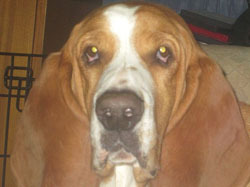 A generous donation was made by Seth Morris in memory of Daisy Priestly Siffert. A generous donation was made by David Lynch in memory of Arty Lynch. A generous donation was made by Roz Granitz – My Hero Dog Training in honor of Piper Tunnard earning her Canine Good Citizenship (CGC) title. A generous donation was made by Roz Granitz – My Hero Dog Training in honor of Bravo Robinson earning his Canine Good Citizen (CGC) title. 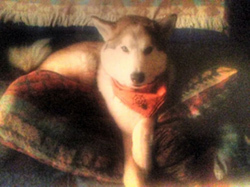 A generous donation was made by Karen Overman in memory of Sashi Storen. A generous donation was made by Vicki Wilkins in memory of Gracie Wilkins. My best girl and loving companion. She will always be with me in my heart. I love her and miss her so much. A generous donation was made by Ellen Confino in memory of Mr. Ranger. A generous donation was made by Satid Thammasitboon to wish Bill and Athena Kapongiannis a Merry Christmas. A generous donation was made by Satid Thammasitboon in honor of Ike’s Birthday. Happy Birthday Ike! A generous donation was made by Melinde Waddle in memory of Abby Smithson. A generous donation was made by John Higgins in memory of Trudy Kidd. A generous donation was made by Michael Losasso in memory of Roxy – You will always be remembered! We cherish the time we had with you! A generous donation was made by Union Hill Animal Hospital in memory of Orbit Brower. A generous donation was made by Union Hill Animal Hospital in memory of Hunter Rast. A generous donation was made by Union Hill Animal Hospital in memory of Cleo McManus. A generous donation was made by Union Hill Animal Hospital in memory of Nino Marinelli. 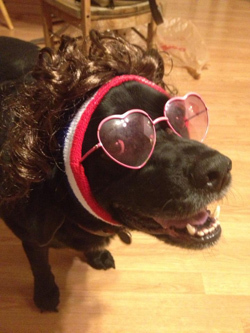 A generous donation was made by Mia Maldonado in memory of Chocolate Maldonado. A generous donation was made by Andrea Dwyer in memory of Raya Struber. 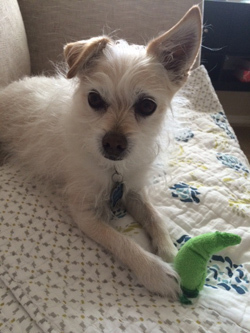 A generous donation was made by Nicole Thomas in memory of Peanut. A generous donation was made by The Mollo Family in memory of Gus Brooks. A generous donation was made by Karen Mathis to wish Lyn Mathis a Merry Christmas. A generous donation was made by Andrew Huber in memory of Kate Penkoske. A generous donation was made by Craig White in memory of Hero White. A generous donation was made by John Wilper to wish the Decelles Family Christmas Blessings. 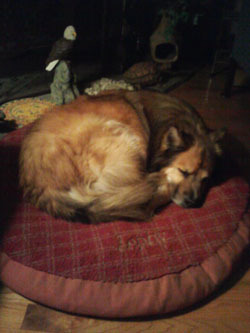 A generous donation was made by David Snider in loving memory of our Samantha. A generous donation was made by Michael Pappas in memory of Hannah Pappas and in honor of Dr. Robin Holtsinger. A generous donation was made by Gwen Carr to wish The Abbott Family a Happy New Year! A generous donation was made by Gwen Carr to wish Heather Carr and Aaron Sanders a Happy New Year! A generous donation was made by Gwen Carr to wish Jennifer Carr a Happy New Year! A generous donation was made by Beryl Board in memory of Louie Kritzler. A generous donation was made by Joan Dyke in memory of Riley Johnson. A generous donation was made by Susan Palius in memory of CH Muso di Morghengo. A generous donation was made by Charles Goodman in memory of Buck Goodman. 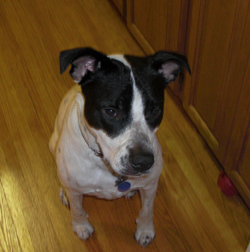 Buck — the best dog ever (Tosa Inu) who ever adopted me but died too soon. A generous donation was made by Hunter’s Brewing LLC in memory of Chloe Bee. A generous donation was made by Jim Stawniak in memory of Hannah. Patti and Hannah, best buds for over 15 years. 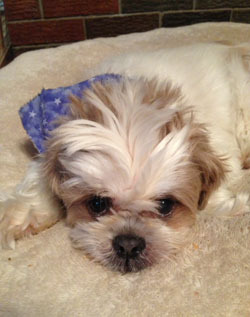 A generous donation was made by Katherine Fallacara in memory of Peanut Zuccaro. A generous donation was made by Debra Alessi in memory of Tagus Arcuri. A generous donation was made by Richie & Linda Stanley in memory of Lucy Stanley. Merry Christmas Lucy. This is the 2nd Christmas since we lost you & our hearts are still so broken. You were our baby girl & the love of our lives. We have so many happy memories of you in our hearts that we cherish every day. We will love you forever Lucy. A generous donation was made by Mark Rothman in memory of Kodie Rothman. A generous donation was made by Brittany Jackson in memory of Lola Galletta. A generous donation was made by David Stewart to wish Melissa Dudley a Merry Christmas. A generous donation was made by Susan Mendez, DVM in memory of Bruno Filoramo. A generous donation was made by Susan Groff in memory of Kyla Scott. A generous donation was made by Tim Rumoshosky in memory of Kyla Scott. A generous donation was made by Barbara Apac in memory of Tona Guilherme. 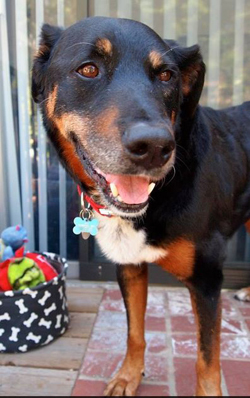 A generous donation was made by Laura Gettings in memory of Lucky, who died on 7/19/14 of hemangiosarcoma. A generous donation was made by Jennie Marvelle in memory of Winnie Howe. 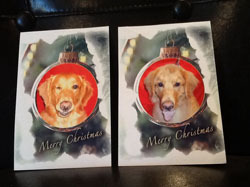 A generous donation was made by Gwenn Oakes to wish Chloe and Jessica Striker Merry Christmas and a Happy New Year! A generous donation was made by Marc Sanders in memory of Rainey Hughes. 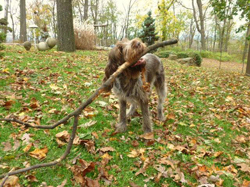 A generous donation was made by Patricia & Tom Morris in memory of Timber. A generous donation was made by Sherry MacDonald in memory of Gunnar Max MacDonald. We miss you Gunnar and mommy and daddy cry for you almost every day. Gracie is sad she didn’t get to meet you. Please be looking for us when we cross the Rainbow Bridge and come looking for you.You will always be our GMan. 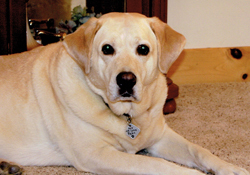 A generous donation was made by Carol Voris in memory of Hucklberry Carlson. A generous donation was made by The Dellorso Family in memory of Lexi Dellorso. A generous donation was made by Corbin Glowacki in honor of Toby Hottinger. A generous donation was made by Rebecca Schochenmaier in memory of Cali Barnhill. 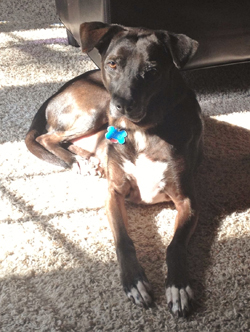 A generous donation was made by Daniel and Vicki Szostek in memory of Daisy Guerra-Zampogna. A generous donation was made by Sheila Noble in memory of Egypt Noble. A generous donation was made by Jamie Dotson in honor of Lola Aragon. A generous donation was made by Earlene Simich in memory of Dealer Bauman. A generous donation was made by Mary Taylor in memory of Griffin Taylor. 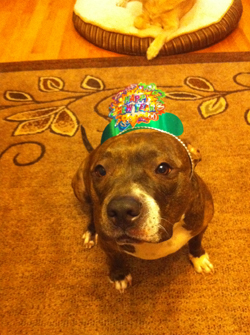 A generous donation was made by Brandi Jackson to wish Bille Athanas Merry Christmas-in memory of Tyson. A generous donation was made by Jennie Marvelle in memory of Trigger Walsh-Meiczinger. A generous donation was made by Jennie Marvelle in memory of Quinn Berzins. A generous donation was made by Amy Deuble to wish Jahnna Harvey & Josh Groft Happy Holidays. A generous donation was made by Susan Ribnick in memory of Riesling Singer. 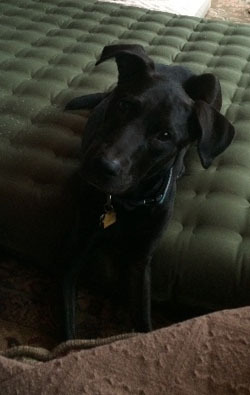 A generous donation was made by Luanne Schreier/GODFREY in memory of Ouray Russell. A generous donation was made by Susan Mendez in memory of Julia Dileone-Levine. A generous donation was made by Paula Boyce in memory of Duncan Henderson. A generous donation was made by Jennifer Allen in memory of Layla Clark. A generous donation was made by Michele Crews in memory of Mya Young. A generous donation was made by Sara Patton in memory of Abby Lou King. A generous donation was made by Aaron & Heather Carr to wish Chris & Gwen Carr happy holidays. A generous donation was made by Roz Granitz in memory of Bentley Sloan. A generous donation was made by Ann E Hogg to wish Sally Craver a Merry Christmas. A generous donation was made by Ann E Hogg to wish LeeAnne McAdam a Merry Christmas. A generous donation was made by Ann E Hogg to wish Tammy Vaught a Merry Christmas. 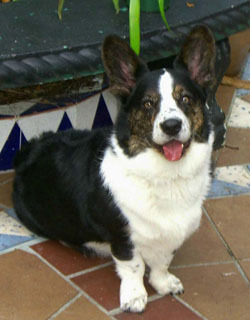 A generous donation was made by Carol Ramsey in memory of Midget, Maggie & Mickey Wing. In memory of three very special yorkies who will be forever loved & missed. A generous donation was made in memory of Dodo by Mahmoud Loghman-Adham. In memory of Dodo, our beloved Yorkie who passed away on Nov 15, 2014. He had suffered from severe arthritis, epilepsy, Cushing’s syndrome and laryngeal paralysis. He taught us a lot about patience, care of sick animals and selflessness. We miss him dearly. A generous donation was made by Christi Wood in memory of Pablo Gray. 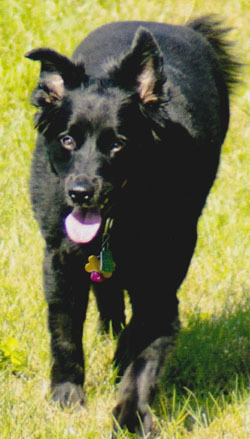 A generous donation was made by Elaine Michaud in memory of Faith AKA Little Bear. A generous donation was made by Linda Blalock in memory of Max Tracey. 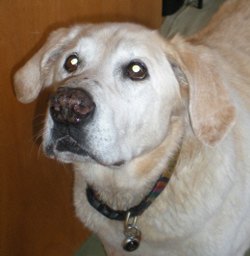 A generous donation was made by Linda Larson in memory of Chulo Ballantine. A generous donation was made by Amy Reynolds in memory of Max Tracey. 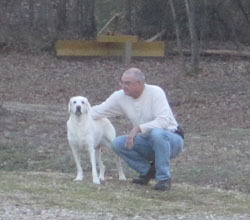 A generous donation was made by David Latour in memory of Chipper Latour. 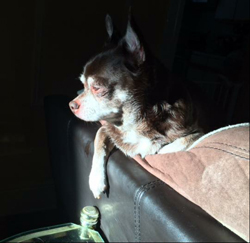 Lost my best pal Chipper to hemangiosarcoma on 11/25/14. He adopted me 8 years ago. Just showed up on my doorstep. I opened the door, he came inside and made himself at home. We’ve been inseparable ever since. I miss him like crazy every day. A generous donation was made by Kelly Heitkamp in memory of Maverick Houghton. A generous donation was made by Phyllis Dobrick and your friends at Tailwaggers in memory of Callie Wheeler. A generous donation was made by Bill & Cathy Young in memory of Mya Young. 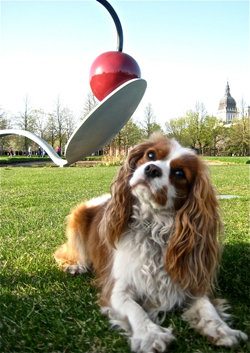 A generous donation was made by Eric Enderle in memory of Rhubarb. A generous donation was made by Phyllis Dobrick and your friends at Tailwaggers in memory of Arrow Flatley. A generous donation was made by Kelly Weikert in memory of Indianna (Indi) Purnell. And so they may be gone from us, treasured friends are never forgotten. Although for now we may find ourselves apart, their spirit lives on forever within our hearts. 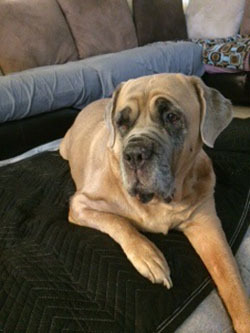 A generous donation was made by Karen & Ed Ezrine in honor of Dr. Kraiza and Staff-Florida Veterinary Referral Center – For your loving care of our sweet Krissie- in hopes of helping others. A generous donation was made by Karen Matuza in memory of Zephy Matuza. 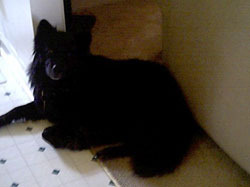 Zephy was the sweetest dog! 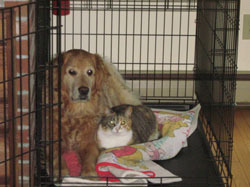 Christopher adopted Zephy from the Humane Society 14 years ago. She was his best friend– always there for him and always so happy to see him. She was such a big part of our family. We miss you Zephy! We love you always! 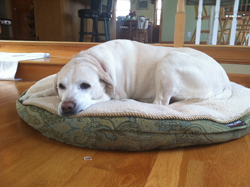 A generous donation was made by Karen Hardie in memory of our beloved grand-dog, Sweet Ellie Sankovich. A generous donation was made by Lacey Newman in memory of Mika Newman. 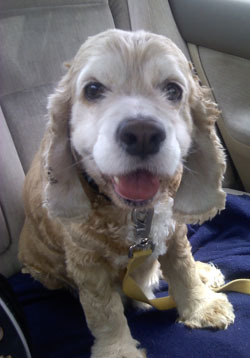 A generous donation was made by Peggy & Dan Pitts in memory of Slider Gilligan. 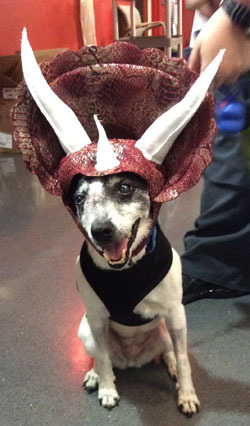 Slider was a wonderful brave dog that fought cancer for many more months than thought possible. Slider was a great companion to Kathy and gave her many years of joy and now there will be many more years of great memories. 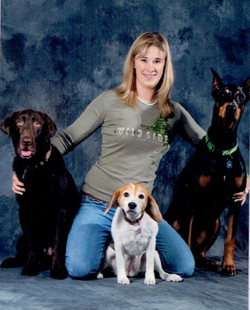 A generous donation was made by Laura Pitts in memory of Dixie, Lily and Ranger Pitts. 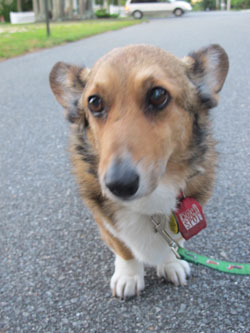 A generous donation was made by Serena Covkin in memory of Biscuit Covkin. 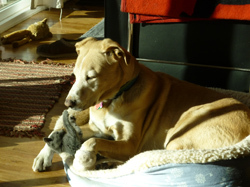 A generous donation was made by Nora Mikkelsen in memory of Slider Gilligan. In memory of Slider. Thank you for being a BFF to my BFF…you’ll be missed. Prayers continue for a cure to this horrific disease. 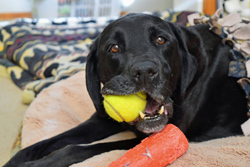 A generous donation was made to the Chase Away K9 Cancer Fund by Judy Artessa in memory of a wonderful german shorthaired pointer, Josh Zeigler. A generous donation was made by Kimberly Hurd in memory of Mason Tarani. A generous donation was made by Marsha Buck in memory of Shelby Peterson. 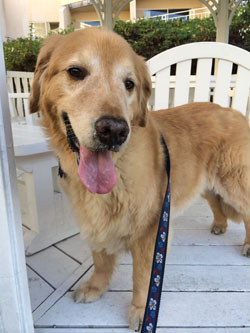 A generous donation was made to the Chase Away K9 Cancer Fund by Lucy & Howard Shapiro in memory of their beloved Golden Retriever, Sierra, sadly lost to lymphoma September 2014. A generous donation was made by Ann & Jim Gordon to honor the marriage of Elicia Calhoun & Bill Molloy. A generous donation was made by Renee Ribnick in memory of Solovino Ribnick. A generous donation was made by Linda Hooper in memory of Barbara Dillard. 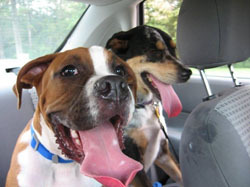 A generous donation was made by Mary Coffey and the East Coast Bulldogge Club. 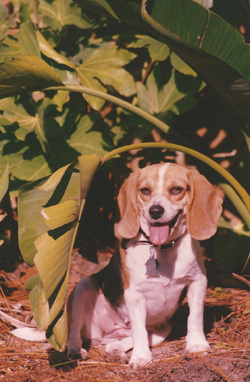 A generous donation was made by: Carolyn Dostal, Sandra Taylor-Hobkirk, Colleen Bush, Ellen Heaton, Debra Wigal, Ursula Lehman, Jennifer Light, Amanda Stipe, Teresa McCormack, & Alyssa Vanderwerff in memory of Carolyn Dostal’s beloved Beagle, Ch. Flying Ears County Line, AXP, AJP, AWI. A generous donation was made by: Cindy Morettin/SuperDogz, Inc., Kathleen Danko, Stephanie Wermes, Heidi Warren, Diana Schaefer, Christine Ballenger, Rhonda Schechter, Andrew Adams, Janice Showalter, David Seely, & Jacquie Kramer in memory of Nike Schuenemann. A generous donation was made by Cindy Hamiliton in memory of Kalua Nelson. A generous donation was made by Janet & Jacobus Ockers in memory of Remmy Ockers. 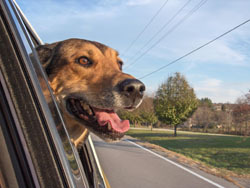 A generous donation was made by: Greg Brasen, The Nashville Dog Training Club, Cathy Crecelius, Stacey & Paul Pocevich, Stephanie Diem, Laura Cass George, Kathryn & James Brasen, & TN Tucky Low Riders Dog Sports in memory of Jackie Brasen. A generous donation was made by: Beth Telfer, Jane Jackson, Gary McCarthy, Deb Zappia, Linda Witkowski, Pat Bonino, Deb Harding, Ruth Vaughan, Jane & Mike Datz, Jody Potter, Gail Binder, Julie Symons, Beth Durand, Christi Goodrich, Pauline Karalia, Cookie Desino, Marge Crane, Deb Sharlow, Susan Clickner, Terri Clingerman & Sue Pettit in memory of v-Gino v Haus Echo vd Olgameister Sch III, IPO III, FH2, UDX, TD, OMI. A generous donation was made by Betsey Brairton in memory of Bismarck Jennings. A generous donation was made by Betsey Brairton in memory of Barney Fiveash. A generous donation was made by Cheri Sedlacek in memory of Luci Jarvi. A generous donation was made by Beth Thyr in memory of Maggie Cliff. A generous donation was made by Katie Goodwin in memory of Diego Greis. A generous donation was made by Janice Herrington in memory of Gizmo. A generous donation was made by Kathy Cunningham in memory of Bang MacDonald. 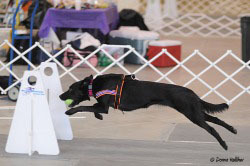 Bang, started out in AKC Rally earning her RN RA and RE titles and then her CD and CDX obedience titles quickly. Mike then got interested in Herding and earned her HT, PT and HSAs AKC herding titles while she earned her UD title in obedience. She loved those sheep! Mike then started Bang in Agilty in the Spring of 2010 at 5 years of age. 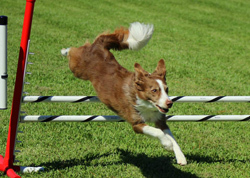 She earned all her agility titles, Novice thru MACH (March 25, 2011) in less than one year and at the same time earned her obedience Utility (UD) title and her Herding Started Sheep (HSAs) title. 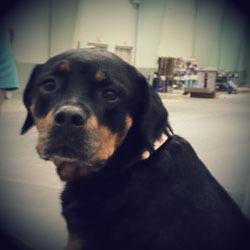 In 2011, she became the number one Rottie, a position held by Bang’s mother, Spy for some time. 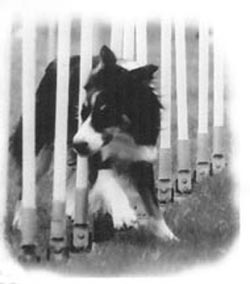 That year she was also #3 in the Working Group AKC agility ratings. 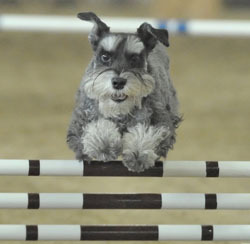 Her agility career lasted only 4 and a half years. In 2013, Bang earned her MACH7 title and was very close to her MACH8. Mike MacDonald & Bang, Rottweiler, earned their 200th Double Q (QQ in Masters) May 9, 2014. This was a long time goal for Mike. She was officially retired due to cancer in her right knee. 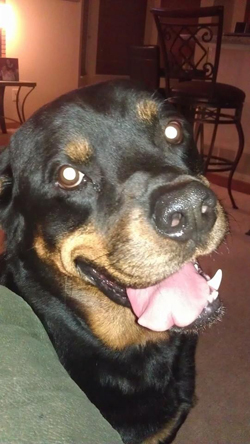 Bang was a beautiful and athletic Rottie with a shiny black coat and great intense personality. Always ready for doing zoomies around the farm and chasing a tennis ball till the cows come home. She spent her remaining 2014 Summer running and playing on the farm and swimming in the pond. Her last two weeks were very hard as we watched her go down quickly. She was Mike’s little Princess who owned Mike, the sofa and anything else she wanted. A generous donation was made by Cathy Olish in memory of Logan Ward. A generous donation was made by Linda Rapp and Marilyn Ledet Broadaway in memory of Rufus Briggs. A generous donation was made by Kelly Reardon in memory of Cadie Reardon, a beloved dog who brought her family much joy and laughter. We love you so much, and will see you on the other side someday. Run free, sweet angel. A generous donation was made by Susan Jenkins in memory of Rosco Pleat. A generous donation was made by by Norm Stratton in memory of Mickey Stratton. Mickey, I love you, you are in my heart and I miss you so much, but I know we will never part. You are my sunshine. Love, Dad. A generous donation was made by Andrea Murray in memory of Harvey Odermann. 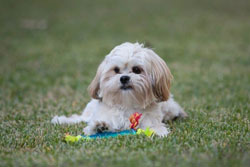 Harvey has been coming to Wagging Tails Pet Resort since 2010 and stole the hearts of all employees. He unfortunately recently lost his battle with cancer. He is very missed but will never be forgotten. Keep on smiling in heaven Harvey! We love you! A generous donation was made by Don Gorman in memory of Rowan Prush. A generous donation was made by Kevin and Marcie Spawr in memory of Dexter Schnatmeier. A generous donation was made by Jeff Frick. NCCF, Thanks you for what you do! 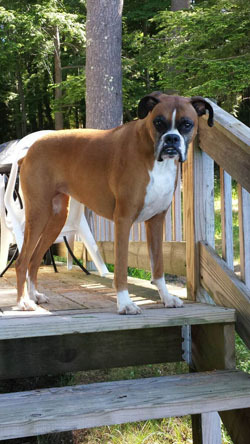 I lost my young fawn boxer boy to Osteosarcoma on 11/12/13. I miss him every single day and there isn’t a day that goes by I don’t think of him. 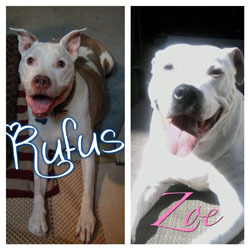 A generous donation was made by Titus and Hailey, Linda Conrad/Zoe the Pretty Pit, Linda Rapp, & Frank Crusciola in honor and memory of Rufus the Cancer Pitty and Zoe. A generous donation was made by: Roberta, Ab, Sam, Jade, Ayla, Heather, Sandy, Barb & Terri in memory of Agatha Polk/Wolf. A generous donation was made by Karen & Hal Feldman in honor of Dr. Wayne I. Anderson. A generous donation was made by Mary Swinson Brown in memory of Petey Hight/Mustillos. A generous donation was made by Harriet Loeb in memory of Raegan Sydney Huston. A generous donation was made by Greystone & Co.- company match for Leah Purvis. 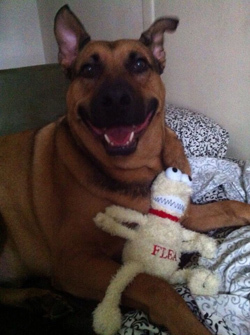 A generous donation was made by Jamie Phifer in memory of Gucci Varmuza. 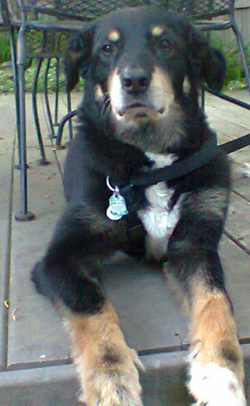 A generous donation was made by Brian Cassner in memory of Bear Cassner. A generous donation was made by Gail Vinett in honor of Chris Mosley’s retirement. A generous donation was made by Christy Warner in memory of Libby Saylor. A generous donation was made by David DiSarro in memory of Caleb Factor. A generous donation was made by Deb Fischetti in memory of Bailey Bogarosh. A generous donation was made by Nichole Bogarosh. In memory of my sweet Bailey boy on his 13th birthday. A generous donation was made by Kimberly Frey in memory of Rufus Briggs. 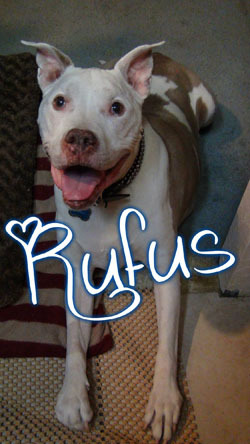 In loving memory of my hero Rufus. 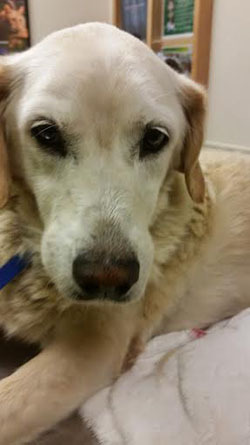 A generous donation was made by Dr. Julie Bartz and everyone at DC Ranch Animal Hospital in memory of Sophie Gillette. A generous donation was made by Dr. Julie Bartz and everyone at DC Ranch Animal Hospital in memory of Riley Davis. A generous donation was made by Beverly Battle in memory of Alfie Jones Kendrick. A generous donation was made by Anise Owen in memory of Daisy Ridge. 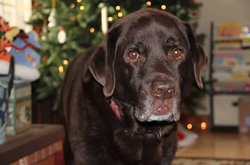 A generous donation was made by Union Hill Animal Hospital in memory of Teddy Bear Banks. 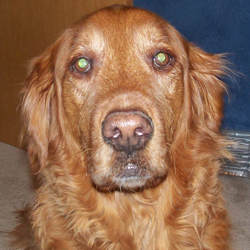 A generous donation was made by Union Hill Animal Hospital in memory of Rusty Banawitz. A generous donation was made by Union Hill Animal Hospital in memory of Jenny Weiner. A generous donation was made by Union Hill Animal Hospital in memory of Fergie Cypher. 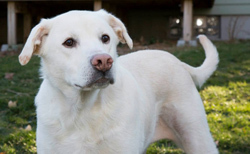 A generous donation was made by Union Hill Animal Hospital in memory of Cody Seymour. 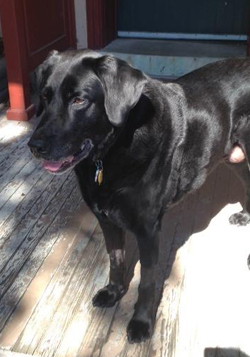 A generous donation was made by Union Hill Animal Hospital in memory of Bodi Nelson. A generous donation was made by Union Hill Animal Hospital in memory of Mr. Luke Anke. 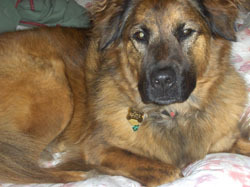 A generous donation was made by Robert Harry Connor Jr. in memory of Chinook Saghali Connor. 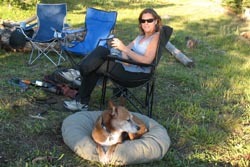 Chinook was my companion, best friend, and soul mate. I enjoyed 13 wonderful years with him. 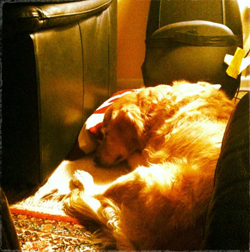 On Oct 30 he passed away suddenly from Spleenic Hemangiosarcoma, being fine in the morning and gone by the afternoon. I hope my donation will help find a cure. 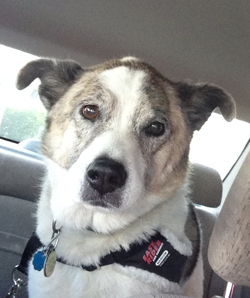 A generous donation was made by Vicki & Dean Lipski in memory of Murphy Morris. A generous donation was made on behalf of the Pre-Vet Club at Allegheny College in Meadville, Pa. We held a Cutest Pet Photo Contest at our school, and these are the proceeds from that contest. A generous donation was made by Jill Coffey in memory of Rufus Briggs. A generous donation was made by Jennifer Lee in memory of Sidney Turney. A generous donation was made by Vanessa Reeves in memory of Bailey Bogarosh. A generous donation was made by Thomas McDonald in memory of Kody. Happy Birthday, Kody. We miss you and love you soooo much. Your family, Shannon, Tommy, Peyton and Cole McDonald. 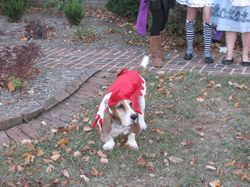 A generous donation was made by Barbara Henckler in memory of Oberon “Obie” Henckler. Still miss you, Obie. A generous donation was made by Jennifer Hill in memory of Stomper Thomas. A generous donation was made by Michael Farina in memory of Miss Finn. Each day since Miss Finn joined the angels has been more lonely on earth. Her incredible personality and earnest soul filled us with more joy than we knew a sweet girl ever could. 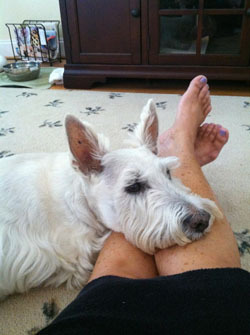 We will always love our Finnie….our inspiration, beauty, and family. A generous donation was made to the Chase Away K9 Cancer Fund by Kimberly Clark in memory of Jasper Denali. A generous donation was made by Angela Griffith in memory of Raider Griffith. Happy birthday to our beloved Raider. 10/29/2002-07/03/2012. We miss you very much and love you dearly. We will hope for much success with this research project. Love mommy, daddy, sissy, Robbie, & Marcus. 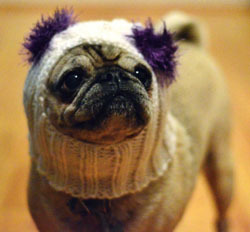 A generous donation was made by Katherine Reynolds in memory of Snoopy Reynolds. Honoring the loss of a beloved family member. A generous donation was made by James & Sara Mihalek in memory of Rosie Mihalek. A generous donation was made by Andrea Morgan in honor of Richard A Morgan. To My Husband, Thank you for your service to our country. 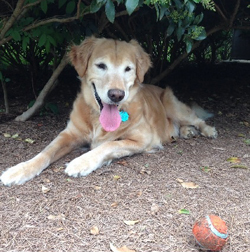 A generous donation was made by Jillian Combs to the Chase Away K9 Cancer Fund in memory of Annie Taylor Zachary. A generous donation was made by Sandy Miller to the Chase Away K9 Cancer Fund in memory of Patches Miller. In Loving Memory of My “Special” Girl. 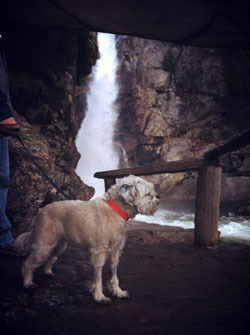 A generous donation was made by Susan Mendez, DVM, in memory of Nevada Miller. A generous donation was made by Jessica Hall and all of us at STA in memory of Tyler Borja. A generous donation was made by Michael Brodie in memory of Bella Forti-Roman. A generous donation was made by Abhilash Mudaliar in memory of Tara. A generous donation was made by Sandra Ockers in behalf of Dr. Keri Weyl in honor of the excellent care she provided to Remmy Ockers. Thank you. A generous donation was made by Tammy Cowell in memory of Lucy Shelton. A generous donation was made by The Cowell Family in memory of Sammy Lofgren. A generous donation was made by Richie & Linda Stanley in memory of Lucy Stanley. 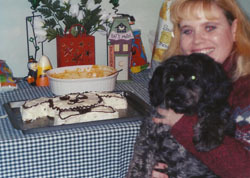 Today would be Lucy’s 13th birthday. 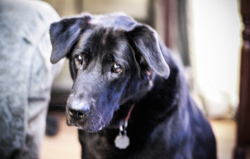 But sadly, we lost her last year to hemangiosarcoma. In honor of our sweet girl, we will continue the fight to help find a cure for this horrible cancer. We miss you every day Lucy. We will love you forever-Moma & Your Buddy. 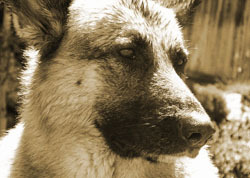 A generous donation was made by Peter McCormack in memory of Asia. 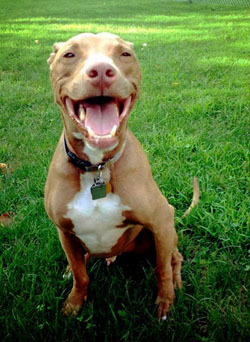 In honor of Asia, a pitbull from New Jersey who died at the age of 3 to canine cancer. In helping cure canine cancer, please remember while it is so dangerous to dogs, to those of us who own pitbulls, humans are far more dangerous than cancer to the well being of our dogs. 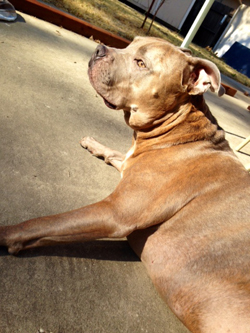 Please help us spread positivity about our breed while trying to end this horrible disease. A generous donation was made by Holly & Scott McGee in memory of Kyla Allsup. A generous donation was made by Barb Burri in memory of Zip Raymond. 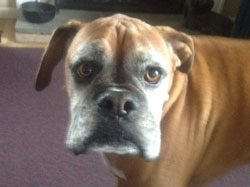 A generous donation was made by Maureen Smith in memory of Buddy. 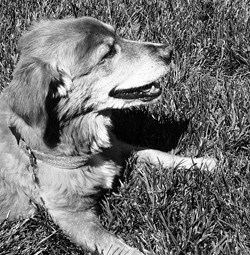 In loving memory of Buddy, a beautiful dog who brought so much joy to the life of Kelley and family, He had a wonderful life with Kelley, and was her best friend. He will always be with her, they shared a beautiful Love Story. A generous donation was made by Sherry Cassidy to the Chase Away K9 Cancer Fund in memory of Raymond Drasbek. A generous donation was made by Tera Hamby – PamperedPawGifts.com from the sale of a pink ribbon dog shirt to Elizabeth Distante. A generous donation was made by Christina Alford in memory of Zoe Marshall. A generous donation was made by Patricia & Tom Morris in memory of Baylei Budd. A generous donation was made by Charlie Hunter in memory of Bisquit Carstarphen. A generous donation was made by TEAM IT’S FOR THE DOGS In partner with: Paul Mount of PMCC Services LLC, trial secretary, K9Jym of Colmar PA, & Darryl Warren, judge. A generous donation was made by Joyce Limberopoulos in memory of Barbara Dillard. A generous donation was made by Joe & Deb Denham in memory of Thomas L. Dunn. 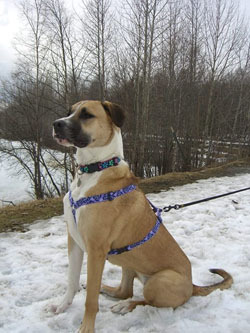 A generous donation was made by Sunami Bjornson in memory of her loving dog, Yaweh. 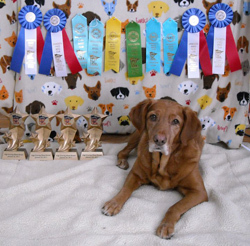 June 25, 2001 – October 11, 2013 from sales from the Mini Pups Creations For Charity. A generous donation was made by Connie’s Pedal the Cause Donors-Thanks go to Craig & Lynette, Kay & Creig, Darleen, Gail & Rick, Ben & Lacy, Sally & Russ, Shirley & Jim, Dawn & Jim, Gene & Linda, and Gig & Carol for supporting Pedal the Cause, a cancer research fundraiser. A generous donation was made by Karen Johnson in memory of Grace Kelly Ross. A generous donation was made by Michele Godlevski from Tunnelers Fun Run Oct 11-12, 2015. A generous donation was made by Eileen Sickler and all of us from ARFF in memory of Score Duff. A generous donation was made by Alison Kearney in memory of Monty Wilcox. A generous donation was made by Patricia Thomas in memory of Chase Bradley. A generous donation was made by Penny Boyce in memory of Deenie Boyce. 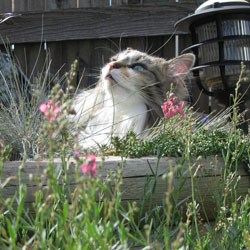 In memory of our beautiful girl Deenie who succumbed to insulinoma after a 2-year fight. 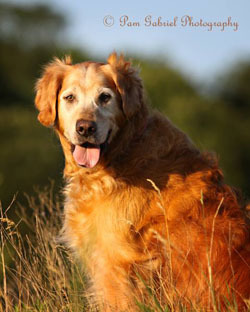 Let’s pull together to defeat canine cancer! A generous donation was made by Danielle Agostino in memory of Linus Campo. A generous donation was made by Felicia Soto the Chase Away K9 Cancer Fund in memory of Ranger Liptock. A generous donation was made by Meghan Williams to the Chase Away K9 Cancer Fund in memory of Harley Burlingame. A generous donation was made by C.K. Krueger in memory of Elizabeth Reaves. 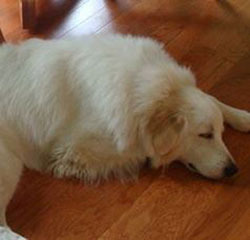 A generous donation was made by JC Murphy in honor of Sweetie. 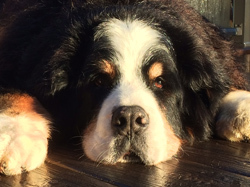 A generous donation was made to Innovative Molecular Targets for Prevention and Treatment of Canine Hemangiosarcoma by Maureen Kilgour in memory of Sam “Mr. 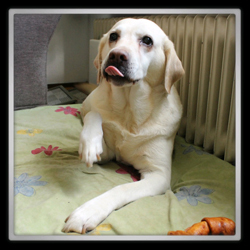 Big” who died of hemangiosarcoma in 4 days in 2010. I miss him every day. A generous donation was made by Lisa Heitmiller to the Chase Away K9 Cancer Fund in memory of Harley Burlingame. A generous donation was made by Mino Fuller to the Chase Away K9 Cancer Fund in memory of Harley Burlingame. A generous donation was made by Darcy Hodges in memory of Bart Hodges.Thank you for being My Barty…I had a Wonderful Time!!!! 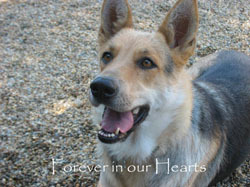 A generous donation was made by Amy and Tom Urban in memory of Tundra “Bean” Urban. We lost our ‘bean’ to Hemangiosarcoma on 5-15-2011. We still miss him deeply. We’ll see you again Bubba…. 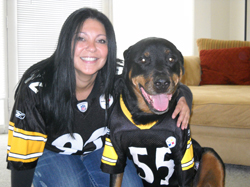 A generous donation was made by Jennifer Gallegos- Donation from Doka – battling osteosarcoma. 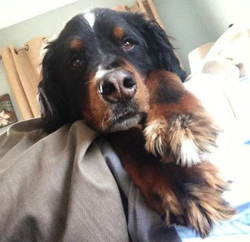 A generous donation was made by Heather Pelletier in support of my 9yr old Bernese Mtn Dog, Tucker, who just had his 3rd dose of chemo today for his fight against hemangiosarcoma. A generous donation was made by Michelle Abel in memory of Majerle Chism. A generous donation was made by Elaine Toth in honor of Tacoma and Sher Arbogast. 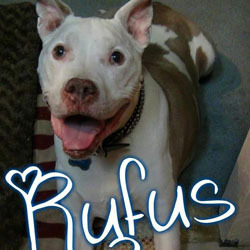 A generous donation was made by Elaine Toth in memory of Rufus the Cancer Pitty. A generous donation was made by Michelle Rock in memory of Henry Parsons. A generous donation was made by Edward Starr in memory of Miss Sunshine America ONeill. 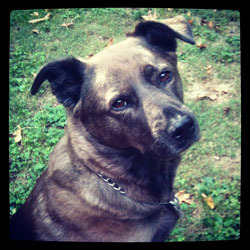 A generous donation was made to the Chase Away K9 Cancer Fund by Tracey & Paul Dornisch in memory of Pumpkin Dornisch. A generous donation was made by Jill & Tom Hubbard & Lilly in memory of Jacqueline Brasen. She was a special lady who is sadly missed by the many people and lives she touched. RIP my friend. A generous donation was made by Sandra Ockers in memory of Remmy Ockers. 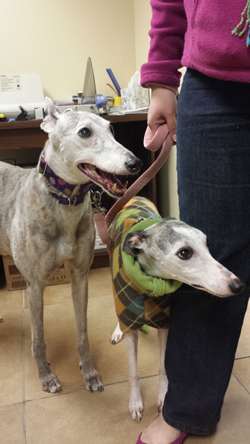 A generous donation was made by Jeff & Cheryl Brasen for the dogs, in memory of Jackie Brasen. A generous donation was made by Emily Duncan in memory of Remmy Ockers. A generous donation was made by Jennifer Scott From Winnie with love – please find a cure for others. A generous donation was made by Anne Marie & Lowell Justis in memory of Alfie Jones-Kendrick. 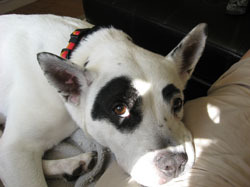 A generous donation was made by TaMarra Woodling in memory of Tiberius Thomas-Hacher. A generous donation was made by Nick Lalim in memory of Mackenzie Johnson. We may only hold them in our arms for a little while, but they live in our hearts forever. We’ll miss you, ZoZo. 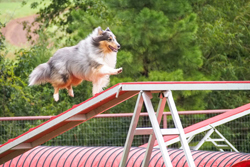 A generous donation was made from your friends at Circle of Friends Dog Agility in Georgia in memory of Jacqueline Brasen. We’re so very sorry to hear of Jackie’s passing. With deepest sympathy, from your friends at Circle of Friends Dog Agility in Georgia, Diane Driscoll, Carol Greer, Vera Jeblick, Nikki Kundrun, Sandy Langan, Mary Jo Thompson, & Jonelle Wolf. A generous donation was made by Marleen Wiseman in memory of Raven Lyons. 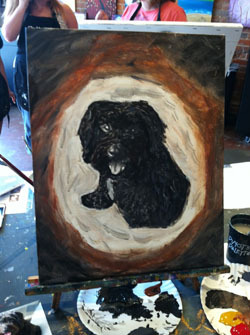 A generous donation was made by Michelle Ocampo in memory of Shadow Musgrove. A generous donation was made by Nancy Allardyce in memory of Madison Allardyce. Madison, you were the most loving and sweet pupper ever. You are missed by so many who loved you so much. Happy running in Doggie Heaven my sweet baby. A generous donation was made by Tricia Casper in memory of Leo Stewart. A generous donation was made to the Chase Away K9 Cancer Fund by Rock the West Flyball Tournament 9/13-14/2014. A generous donation was made by Jamie Jenkins in memory of Chewie Jenkins. Momma loves you… always. 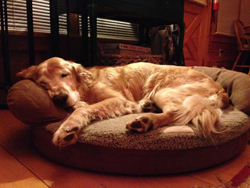 A generous donation was made by Lucille MacNaughton in memory of Cooper Valmore/Macnaughton. A generouos donation was made by Wayde Smith in memory of Conor Smith. I love and miss you big boy. You are always in my heart and my memories. A generous donation was made by Shelly Quarles in memory of Maverick Tyler. Life is not forever but love is. A generous donation was made by Julie & J.D. Pearson in memory of Casey Jones. A generous donation was made by Nathan Bragg in honor of Phaelan’s Birthday Party! 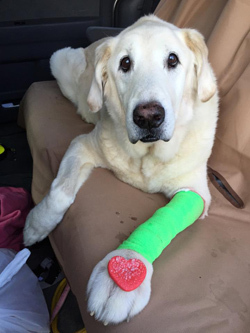 A generous donation was made to the Chase Away K9 Cancer Fund by Corrine Loughrey in honor of Lovin, our boy who was recently diagnosed with Lymphoma. A generous donation was made by Cindy James in memory of Cali Farmer. A generous donation was made by Kara Tubbs in honor of Phaelan MacNaughton’s Birthday. A generous donation was made by Karma Sees in honor of Phaelan MacNaughton’s Birthday. A generous donation was made to the Chase Away K9 Cancer Fund by Ann Kjelsberg in honor of The Salty Dog’s 4th Anniversary. 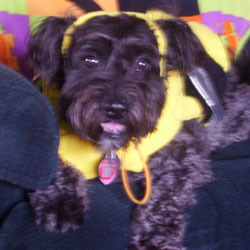 A generous donation was made by Joy Ovadek in memory of Pea Pie Haggerty. A generous donation was made by Dr. Julie Bartz and everyone at DC Ranch Animal Hospital in memory of Mojo Gatten. A generous donation was made by Dr. Julie Bartz and everyone at DC Ranch Animal Hospital in memory of Snickerdoodle Ostertag. 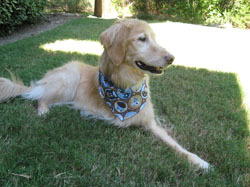 A generous donation was made from the clients at Arizona Veterinary Oncology. A generous donation was made by Andrea Cirabisi to wish a Happy 3rd Birthday to Phaelan. Happy Birthday Phaelan! 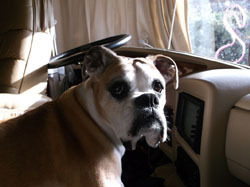 A generous donation was made by Beth Ruggles in memory of Daisy Russ. A generous donatiion was made to the Chase Away K9 Cancer Fund by Scott Vicary in memory of Nike Schuenemann. A generous donation was made by Union Hill Animal Hospital in memory of Maggie Rafool. A generous donation was made by Union Hill Animal Hospital in memory of Kurley Brashears. A generous donation was made by Union Hill Animal Hospital in memory of Sydney Ayers. 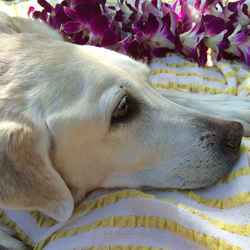 A generous donation was made by Union Hill Animal Hospital in memory of Patches Kahale. 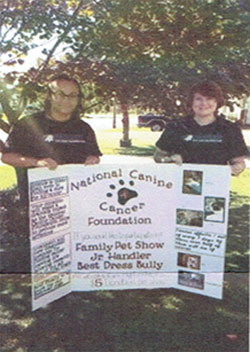 A generous donation was made by Gail Fishers All Dogs Gym WCRL Rally Participants. A generous donation was made by Michelle Martin in memory of Chance Austin. 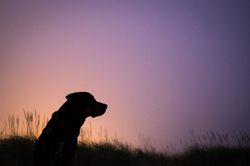 A generous donation was made by Kamuran Platt in memory of Hero Platt to the Innovative Molecular Targets for Prevention and Treatment of Canine Hemangiosarcoma. YOU ARE ALWAYS MY HERO, I LOVE YOU SO MUCH. YOU ARE MY HEART, MY SOUL, MY LOVE, MY BOY AND MY HERO. A generous donation was made by Moira Cray in honor of Cami & Amy’s Birthday’s. A generous donation was made by Chad Thomas in memory of Alfie Jones-Kendrick. A generous donation was made by Eric & Courtney Paul in memory of Bayley Ford. A generous donation was made by Courtney Fisher in memory of Tara Kucmer. A generous donation was made by Jamie Cabaccang in memory of Rio Ripsher. A generous donation was made by Nancy Weil in memory of Alfie Jones-Kendrick. A generous donation was made by Margie McCabe to the Chase Away K9 Cancer Fund in memory of Riley Fenton. A generous donation was made by Becky Motley in memory of Sophie Endicott. A generous donation was made by Lynelle Heuschober in memory of Remington Heuschober who passed away from hemangiosarcoma. 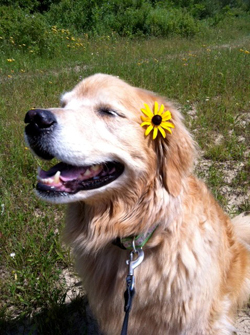 A generous donation was made by Lisa Erwin in memory of Gauge Erwin who passed away from hemangiosarcoma. A generous donation was made by Melodi Provonsha in memory of Dusty Bradford. A generous donation was made by Emilie Stein in memory of Nico Blue Klug. A generous donation was made by Susan Sheehan in memory of Barbara Dillard. A generous donation was made by Pamela Brock in memory of Barbara Dillard. A generous donation was made by Pauline Repucci in memory of Barbara Dillard. A generous donation was made by Sandra Watson in memory of Barbara Dillard. A generous donation was made by Maureen & Michael Korson in memory of Barbara Dillard. A generous donation was made by Jessica & Michael Rodehorst in memory of Barbara Dillard. A generous donation was made by Michael & Amy Robinson in memory of Barbara Dillard. A generous donation was made by Sara Brydges in memory of Barbara Dillard. A generous donation was made by Karin Scheier & Stanley Dolberg in memory of Barbara Dillard. A generous donation was made by Elizabeth Bell in memory of Barbara Dillard. A generous donation was made by Lisa Turkington in memory of Barbara Dillard. A generous donation was made by the Kugal/Dhame Family in memory of Barbara Dillard. A generous donation was made by Theresa Spencer in memory of Barbara Dillard. 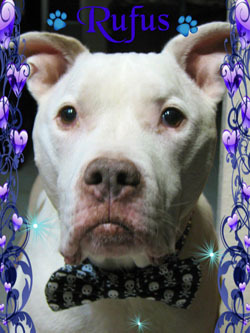 A generous donation was made by Meegan Moore in memory of Zeus Hamilton. A generous donation was made by Susan Dillard in memory of Barbara Dillard. 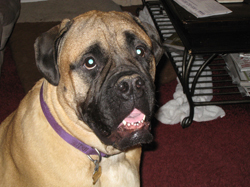 A generous donation was made by Josh & Kelly Albertina in memory of Duke Albertina. 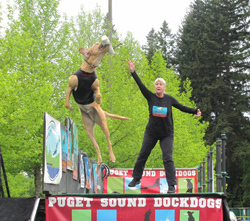 A generous donation was made by Roz Granitz – My Hero Dog Training in honor of Joyce Wallace. 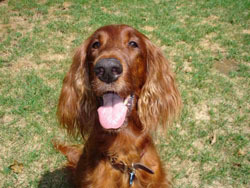 A generous donation was made by Roz Granitz -My Hero Dog Training in honor of Laquitha Schoenberger. A generous donation was made by Bravelets LLC. A generous donation was made by Summer Kate Reinoehl from sales made from her lemondade and cookie stand. 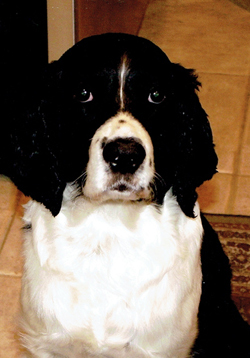 A generous donation was made by Reba & Bill Helgeson in memory of Rory Stewart. A generous donation was made by Naorma, Daniel, Sean & Matt Baide in memory of Rory Stewart. A generous donation was made by Andy & Mindy Carman in memory of Odie Carman. 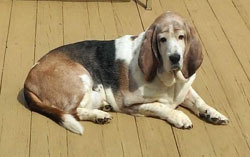 A generous donation was made by Susan Ribnick in memory of Tulip Ribnick. 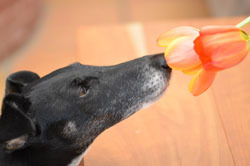 For our dear Tulip “Sweet Pea” Petunia, you did more in 7 years than most people do in a life time. And no one had more admirers than our girl. We will honor your sweet spirit every single day. We miss you, Tia and Solovino and Bijou. A generous donation was made by Phyllis Dobrick and your friends at TLC in memory of Minnie Katzman. A generous donation was made by Kelly Vanarsdall in memory of Madison.